This is guest blog post by Dhaval Mehta, founder of DPM*Social, a social media and content marketing agency based in Mumbai. Keep up with Dhaval on Twitter @dpmsocial. Mumbai is South Asia's city of dreams. It's a city on the rise with some of the most innovative, tech, food, and apparel companies as well as NGOs and socially forward organizations. In 2009, when I knew I was moving to India for good, I needed to figure out how I would build my career in Mumbai, while also adjusting my lifestyle, mindset, and securing a space where I felt at home. As I built DPM*Social, a digital marketing and social media marketing agency, I kept on searching for an office space that didn't have the confines of the traditional Indian office— cramped deskspace, open dabba lunches (shared lunches, rather enjoyable), and of course, office politics. It was then that I discovered that beautiful innovation of our time, the coworking space. 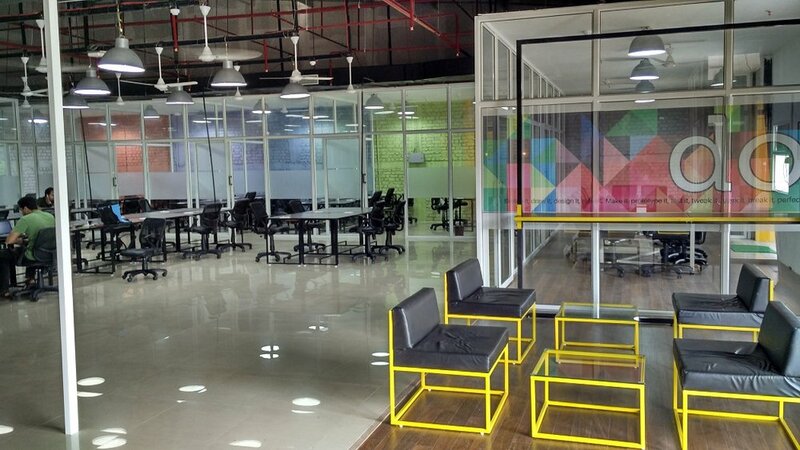 As of today, there are several coworking spaces in Mumbai to choose from but a few of them are there for namesake only. 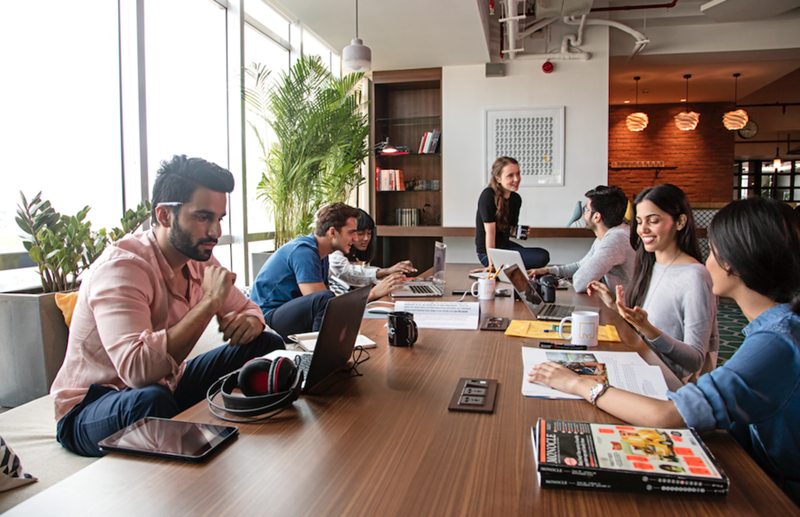 Here, without any particular bias, are five that I feel will give any expat, startup, founder or entrepreneur in Mumbai with all the connectivity, facilities & creature comforts that would make the work-life balance a lot sweeter. Located at a convenient 5-minute walk from the train station, this is a beautiful space that focuses on an oxygen-rich environment. There is an earthy plant wall right near the cafe and library area, and it's just amazing. Seeing so much green, without the air pollution in India is a great accomplishment. The desks are spaced out nicely, a few swings, an on-staff male & female masseuse (who are excellent, by the way) who are super friendly. The Mosaic has all the amenities you knew you wanted and others, like massages, that you never thought you needed in your work life. The wifi is strong, the coffee is Italian, and their selection of dip teas are quite delicious as well. They have conference rooms, a regular yoga teacher for members, tai chi classes, and a good mix of local and international members, which really helps in a place like Mumbai. Voted Forbes' No. 2 most beautiful coworking space in the world, Ministry of New (MoN) is breathtaking. The moment you enter the space you know that this is more than just a coworking space. It is designed with utmost care and personality. The surfboard swing in their library has become something of a "must-be-selfied-here" spot in Mumbai. The vibe at Ministry is really friendly and sweet. The wifi is good, the free coffee is pretty decent, and their selection of chai is on point. MoN has a lot of tiny things that it does right. A great selection of magazines, a family atmosphere, great events, and a free brunch on the first Wednesday of every month. These guys have 3 locations in Mumbai alone, so you get a feel for their size. They're the big boys. They have locations in Lower Parel, Andheri East and a new one coming in Santacruz East. Paid coffee is available and wifi is good. They also have a group of pan India mentors and investors in addition to the networking opportunities you have with the person sitting next to you. They cater to some bigger companies as well as startups, so you never know who you'll bump into on any given day. 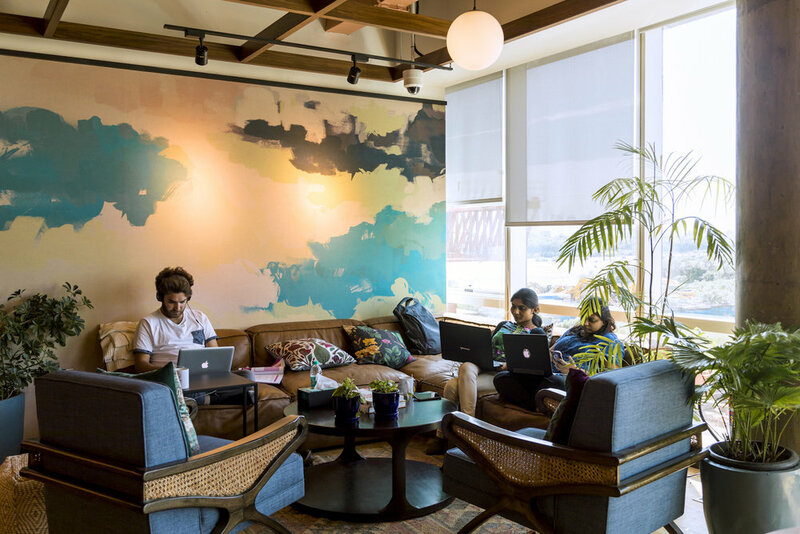 With locations in literally every major metropolis in the world, WeWork too has come to the hip new commercial hub of the BKC. This stretch of land between Bandra and Kurla in Mumbai used to be all marshland until it was constructed upon. Now, WeWork BKC is here to cater to the local startups along with some NGOs with a good mix of international and national members. They offer 24/7 building access, which is a great thing for those who like to burn the midnight oil. Their internet is super fast and coffee is micro-roasted! Yum. They also offer discounts for insurance, gym memberships, etc. for members. The Garage does in fact live up to its name. It's a large ceiling styled space which runs a little more like the traditional office desk space than a coworking space. The community aspect is there because you always have someone interesting near you no matter which coworking space you go to, but the desk setup is more office-like due to the large teams that occupy its spaces. The wifi is good and location in consideration with all others is also fairly decent. So, there you have it: five coworking spaces in Mumbai where you can grow your business while also enjoying your days to their fullest!